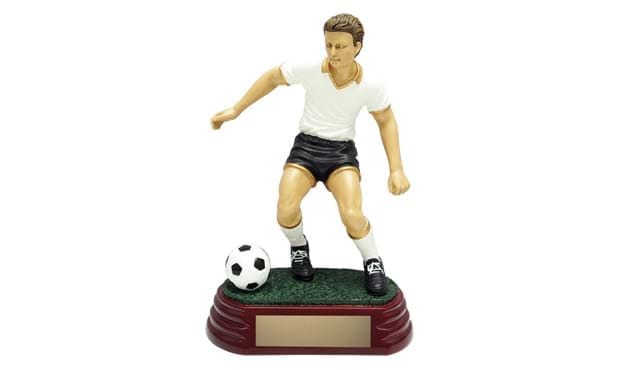 Full colour 6" sculpture male with ball on green turf mounted on a rosewood coloured base. Comes complete with plate and inscription. Individual names, player #, etc can be added for a small additional charge (see pricing schedule).